I have sew much to be thankful for today and #1 on my list is all three of my daughters are home for the weekend! Kelly flew in from Austin just to get some family time since we won’t see her for Thanksgiving and Sara came home from UC Davis to be with Kelly and Nicole (and me) (and her cat) (and her dad) (and her dog). And what do we do first thing? Go see the latest and last Twilight movie, “Breaking Dawn II”! It was SO good! We also brought my “other” daughter, Emma, who I’ve adopted (not really, but it’s the thought that counts) because we love her and she has black hair – the only hair color I missed in my offspring! I have to admit that we are missing my son, Jon, in San Diego. Especially my hubby since he was way outnumbered this weekend! We all love pomegranates in this family and they are ready and ripe right now. And we have two trees in our backyard loaded with them! They are so pretty on the tree, but just wait until you crack them open! They taste so good fresh from the fruit, but just wait until you bake them into a scone and add chocolate chips! I am sew thankful for this recipe that I found at Judy’s blog, Cranberry Morning for Pomegranate Orange (chocolate) Scones. I didn’t change a thing in her recipe and they turned out so delicious! I’m so excited about mug rugs! Even though they have been around for a while, I’m just finally getting with the program. A mug rug is a large coaster that fits your favorite cup of (fill in the blank) and something else delicious. I’ll be giving the tutorial for my version in the next few days! Think Christmas gifts! 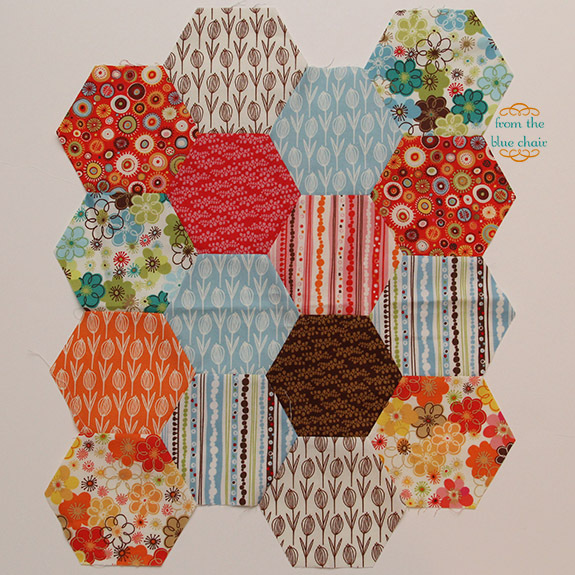 I recently saw a wonderful tutorial on sewing hexagons together at From The Blue Chair. There is a How to Sew Hexagons Part 1 and a How to Sew Hexagons Part 2. If you’re not crazy about hand stitching hexagons, Kati does a fantastic job of showing you easy machine piecing techniques for hexagons. The visuals are amazing! 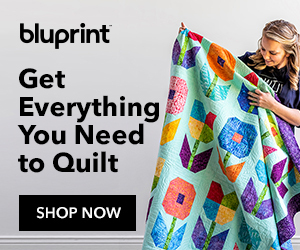 You can also find tutorials on cutting hexagons accurately, a cute hexagon pillow, and binding a hexagon-shaped quilt (really useful for me). Thank you Kati! I hope you’re all enjoying your Sunday! 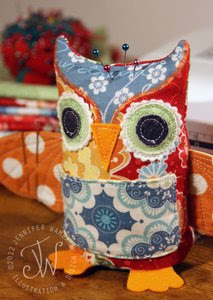 I’ll be back soon with the cutest Mug Rug tutorial ever! Pomegranate trees……how exotic, we just have apple trees, but did harvest lots of juicy ones this year. Your scones looked very tasty and the mug rug is a great idea! Thanks for finding so many good blogs for us to enjoy Julie. I did enjoy meeting you in September. I’ve been quilting some of my ‘stash’ of unfinished quilt tops since I returned to Norway and moving my sewing room two floors down into the basement. Have lots more space now, but what a mammoth operation it was! Enjoy your girls’ visit and have a lovely Thanksgiving holiday on Thursday. Julie, thanks so much for posting my recipe! I’m glad you liked the scones, and I love the photo of your pomegranate tree. They look like little red hot air balloons. ‘Sew’ cool!! Great picture of you and your daughters. Pomegranates look sew yummy. Mug mats are a great idea! It’s got me thinking. :-)) Thanks.